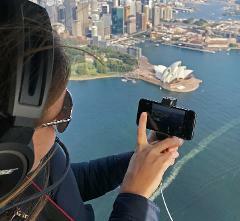 The Sydney Harbour Discovery flight offers panoramic views of the most beautiful City in the World. 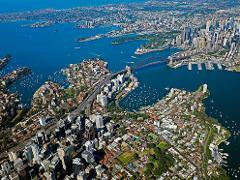 Highlights include The Harbour Bridge, The Opera House, Fort Denison, Taronga Zoo, Watson’s Bay, Bondi (& all the Eastern suburbs beaches). 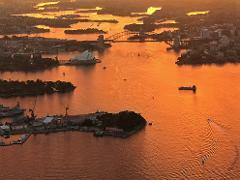 The 20-minute Sunset Harbour Discovery flight offers panoramic views of the most beautiful City in the World. 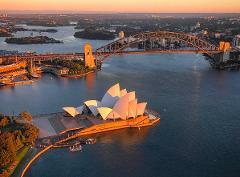 Highlights include The Harbour Bridge, Opera House, Fort Denison, Watson’s Bay, Bondi (& all the Eastern suburb beaches). 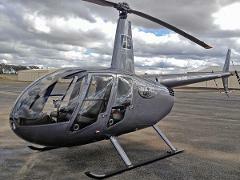 Arrive in style at the races by helicopter... Looking for the ultimate day in entertainment and indulgence? Want to surprise your partner, celebrate in style, or spoil your clients? 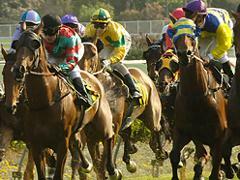 Then our Race Day flight is for you! From the spectacular cliffs and golden beaches to the icons of our world famous Harbour, hold your breath and enjoy magnificent panoramic views of Sydney. Get up early, watch the sun rise over the Pacific Ocean and feel truly inspired for the day as we fly you on a magical flight over one of the World's greatest cities. 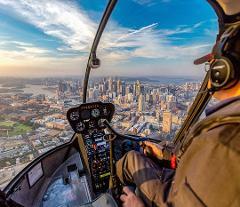 All the grandeur of our 30-minute City to Surf flight. Spectacular & highly recommended! For a limited time we are also including a glass of Moët & Chandon Champagne for you to enjoy after the flight! See the full panorama of our great city, from distant views of the magical Blue Mountains in the west to the shimmering waters of the Pacific Ocean in the east. Always wanted to see what your home & local area looked like from the air? 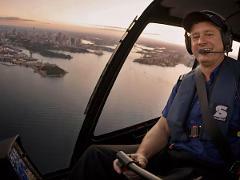 After departing Sydney Airport you’ll be taken on a unique flight experience like no other, bound for the most important place to you – your home! This tour isn't currently available - We will update shortly. 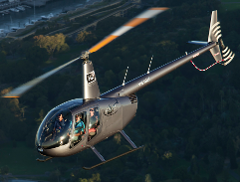 Bathed in a beautiful misty blue haze, you'll be in awe of its rugged wilderness and magnificent views as we fly you into the heart of the Blue Mountains. Let your imagination run wild in this World Heritage listed paradise. 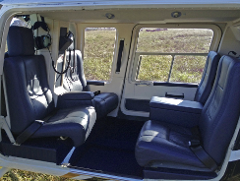 Flying via Sydney’s magical harbour & Northern Beaches, we fly the coastline north passing the Hawkesbury River and spectacular Watagan Ranges. 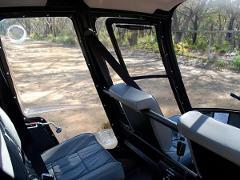 On arrival in the picturesque Hunter Valley, we land at Bimbadgen in beautiful Pokolbin. Flying via Sydney’s magical harbour & Northern Beaches, we fly the coastline north passing the Hawkesbury River and spectacular Watagan Ranges. 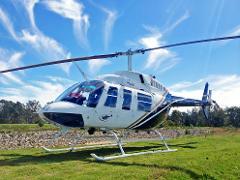 On arrival in the picturesque Hunter Valley, we land at two locations in beautiful Pokolbin.